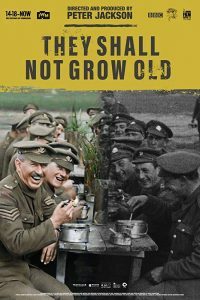 They Shall Not Grow Old 8.5 out of10 (worst is 0)based on12,280 ratings. Plot: A documentary about World War I with never-before-seen footage to commemorate the centennial of the end of the war. User Rating: 8.5/10 based on 12,280 votes.